A dark haunt full of mysterious character (and mysterious characters), 16Shots feels, appropriately, like the kind of place that only exists in video games. 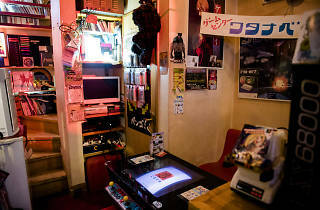 Located on a quiet Shinjuku backstreet, this is a temple to the joys of 8-bit. 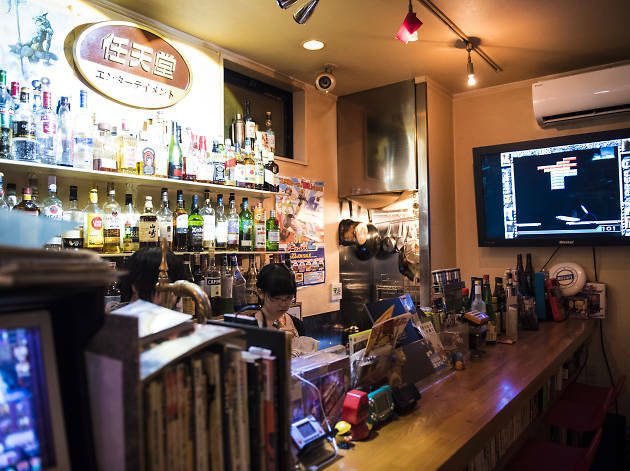 The bar has a playable 1983 Nintendo Entertainment System – considered by those in the know to be the greatest of all time – an extensive library of games and even Pac-Man wind-up toys which you can race along the bar. 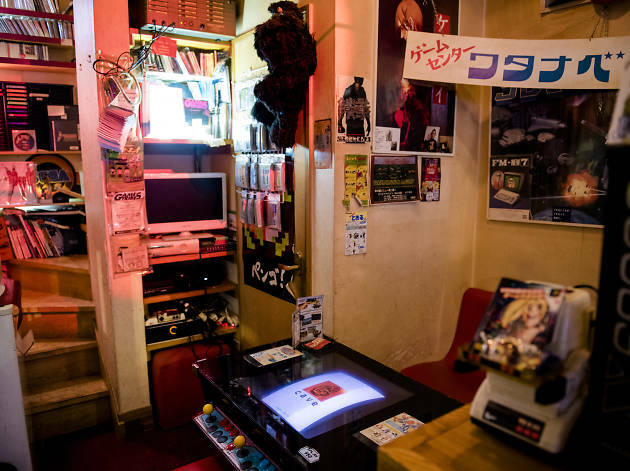 While you’re putting away a few beers, you can thumb through esoteric cheat books or watch the mesmeric reel of old game commercials projected on the rear wall. 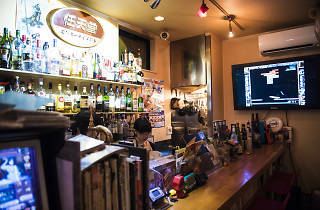 You’re also encouraged to bring your own handheld game and nestle in among fellow otaku; the bar is said to be frequented by famous video game developers, so you might be sitting next to the person responsible for your relaxation (or sometimes, fuming frustration).